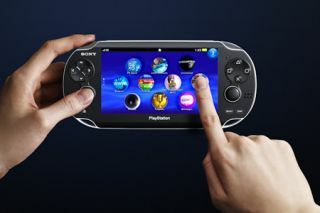 JAPAN: Sony PlayStation Vita launch plagued by bugs | What Hi-Fi? Glitches in Sony's new PlayStation Vita handheld console, launched in Japan at the weekend, have forced the company to issue an apology and software update. Users have complained about unresponsive touchscreens, crashes and freezes. While glitches on new devices are not unusual, with more than 300,000 units sold the number of complaints has been escalating. "Currently, our information centre regarding PlayStation Vita as well as our usual customer service centre are receiving many enquiries," says Sony in its statement. "Some issues regarding PlayStation Vita can be addressed by simple procedures at home," it adds, going on to provide a list of questions and answers to tackle problems including the console refusing to start-up. In addition the firm has released a firmware update that users must install if they wish to be able to continue going online with the device. The handheld console has a gyroscope, accelerometer and electronic compass, 12.7cm OLED touchscreen and front and rear cameras. It's not been a good year for Sony. Back in May, there was a security breach on its PlayStation Network and Qriocity services, which had to be suspended.